Right now John Key is in a bind, perhaps the biggest bind of his term thus far. He wants to get through to his second term but according to National Party insider, Cameron Slater, the business donations he needs to do it are not forthcoming. (as an aside it seems Slater has lost his party privileges for making this public). In fact, as Clare Trevett, points out in today’s Dom Post National has a target of $1.3m and so far it’s only made it to $369k – most of which has come from electorates. To get the money from his backers all he has to do is make a little law that makes them a lot of money. After all knocking just one percent off the national wage bill shifts about a billion dollars from workers to employers. Employers who, coincidentally, make up the bulk of National’s big backers. And extending the 90 day no rights bill and denying workers access to their reps will do just that because limiting workers’ rights limits workers’ bargaining power and limiting workers’ bargaining power suppresses wages – it’s basic macro economics. That’s why the plan was to announce it at the last conference before election year and then pass the hat around. Kinda like No Brash, No Cash part two (but with a much less embarrassing version of Brash). But this is not a popular measure. Even the generally right-wing forum that is the Herald’s Your Views is against these moves at a rate of about 5 to 1 against. Like mining national parks this issue is one that threatens to put a real dent in National’s public image and its electoral support. But unlike mining there’s no way Key can orchestrate a back down and that could mean he risks losing a working right-wing majority in 2011. The irony is that could impair a second term National government’s ability to roll out the rest of its right-wing programme including its privatisation plans. And that would cost the very same interests who have pushed for these employment changes to come early. But then again business in New Zealand has been trading long-term gains for quick and dirty fixes for years. It’s probably why they’ve been reduced to political lobbying against their own workers just to turn a profit. I bet Labour wish they were in this sort of “bind” with National over 50% in the polls. If this sort of support continues, then National probably doesn’t need to worry about donations. You make a big assumption here that workers will be worse off. I don’t think this is necessarily the case, at least in respect to the 90 day component. Your “basic macro economics” don’t hold here. One of those basic macro economics is the law of supply and demand. In this case, if the 90 day bill makes it easier for employers to employ and there are more jobs on offer as a result, then the increased demand for workers should help at least maintain wage rates rather than reduce them. Law of supply and demand. I don’t see the 90 day provision as being a problem at all in most cases. Where an employer wants to attract a particular employee, or finds a strong candidate, the employer may well waive the 90 day provision in order to close the deal. Where the employer decides he would like to give someone a go, but feels a bit uncertain about them the employer may well say, “I am not sure about you, but I will give you a go so long as you understand the 90 day provision applies”. In this way, someone who might not otherwise have got a job could end up getting one. Don’t know about the union access question. In companies I own we have very close working relationships with our employees and treat them very well. They have not had the slightest indication of ever wanting to join a union. Neither have we ever had a union member come knocking on our door. Yes, Tsmith, the 90 day no-rights law will push up wages. That’s why business is crowing about it. Doubleplusgood reasoning there mate. I didn’t say it would push up wages, Irish. I said “at least maintain wage rates rather than reduce them”. This is not saying that wages will increases or that they won’t fall further. What I am saying is that the law of supply and demands means that the 90 day bill will be supportive of wages rates rather than be a factor in reducing them, so long as the supply of jobs increases as a result. I think the demand for jobs is still way to high for the law of supply and demand to actually increase wages. Even if the 90 day provision increases the supply of jobs, I still think the demand for jobs will be higher than the supply available, so I don’t see wages increasing as a result. However, if the number of jobs on offer increases, then the law of supply and demand should mean that wages don’t fall as quickly, or may be maintained at the same level. How about actually addressing this argument, as you are the one who said the laws of basic macro economics applies here. I have just pointed out one that directly opposes what you are arguing, so you really should respond to it. So far as employers “crowing” about it, I think employers prefer anything that gives them more flexibility in the way they do business. In a two sided market (such as an employment market) power asymmetry results in asymmetrical bargaining outcomes. Your supply and demand model is based on an assumption of a level playing field at the point of transaction. This is clearly untrue in a situation where the cost of the transaction failing for one party is that they need to find another worker while the cost of the transaction failing for the other party is that they lose their income and are thus unable to pay their rent, feed their family, etc. At a macro-economic level the creation of such a power asymmetry across a labour market will result in a blanket downward pressure on wages. Even if more jobs are created. Thanks for taking the time to give a well-reasoned response, Irish. However, I don’t think your analysis of the power is quite correct. Firstly, the power asymmetry already exists to a large extent. It is still possible for workers to be fired under current laws, and can be done quite easily if the employer follows correct due process. It might take a bit longer, but if an employer decides they don’t like a particular worker, they can get rid of them so long as they make sure all the boxes are ticked. So, to a degree this power asymmetry is a constant already factored in. Secondly, the cost side for the employer can be a lot higher than you state. For instance, if an employer were to hire a company accountant who subsequently defrauded them for millions the cost would be very high. Or an employer who took on a sales person who subsequently upset a key customer to the extent that they went somewhere else, the cost would also be extremely high. Thirdly, if we include benefits in the income equation then if this law helps people get off benefits into a job with a higher income (even if only for 90 days) then that will be supportive of wages. As will the circumstance where a worker on crappy pay is able to move into a job with better pay due to the new law. 1. This law will increase the power asymmetry and thus decrease workers’ bargaining power. 2. Your example bears no relevance to the argument. Neither of the examples you give could not be dealt with under current law. Aside from that neither example has any bearing on a macro economic argument unless you can prove that fraud or sales loss are somehow structurally and significantly endemic under current law. Which they are not. 3. This law has already been in place for the majority of NZ businesses (but not the majority of NZ workers) and yet employment is at the highest point it has been at in pretty much a decade. There is no evidence that removing bargaining power from workers decreases unemployment. In fact in the last fifty years the decade in which NZ workers had the least rights (the 1990s) was also marked by extremely high unemployment. The law may not increase asymmetry for many workers. This is because employers and prospective employees may choose to negotiate out of this provision, especially when the prospective employee is perceived to be of high value to the employer. Employees who are in a position to pick and choose jobs may not accept this provision in their contracts. Where the asymmetry is likely to be the greatest is for people who are likely to find it hard to get a job anyway. This could mean people on benefits who are on extremely low incomes and likely to benefit greatly in terms of income through getting a job. People already in a job are unlikely to move to another one with the 90 day provision due to the increased risks for them involved if there is no benefit in terms of higher income. However, someone in a lower paying job might be prepared to take that risk if the perceived benefits to them in increased wages exceeded the risks. Hence, the increasing asymmetry is likely to relate mainly to a class of workers who are likely experience substantial increases in income due to getting a job, or improving their income through a better job, when they otherwise wouldn’t have been able to do so other than for the 90 day bill. Therefore, it may well be, that despite the increased asymmetry against this class of workers, that incomes still increase for these workers. I guess the point I am making is that the error in your argument is that you have assumed that the increase in asymmetry against workers will apply equally across workers. What I am arguing is that the asymmetry will not apply equally, and that those who are most affected will also be those who benefit most in terms of being able to improve their situation in life. No the point I’m making is that it will average out to a greater asymmetry across the whole workforce. We’re talking macro economic effects, remember? Fair enough. It ends up becoming a question about whether the benefits outweigh the costs or vice versa. I guess in the absence of actual data its difficult for either of us to argue this at other than the theoretical level, so we have probably taken this as far as we can. Actually, probably worth making several more points. Firstly, Nact has trialled the 90 day bill with small employers first. Perhaps the data the have from the Labour department does provide justification for extending the law to large employers. Though it would be good to see the data to assess if this is the case. Secondly, if the data convinced you that the benefits actually did outweigh the costs of this law to employees on average, would you still oppose it? I’m pretty sure that the labour department weren’t collecting data. They certainly weren’t monitoring for abuses. “A Department of Labour survey has found one in five workers employed under the 90-day trial period has been sacked. The report says employers are generally happy with the trial period but some employees felt vulnerable to unfair treatment and dismissal. In the survey 132 employers had used the 90-day trial period to hire someone and 29 of them had sacked a worker within the 90 days. Employers said workers had been sacked for poor performance or for a poor attitude to work. So now you get fired for not reckoning that the job you have to do is the best bloody thing since sliced bread and being all happy, happy, smiley, smiley about it? 132 employers out of how many employers who employ fewer than 20 people is the basis for rolling this out to satisfy every employers possible penchant for casual abuse of employees? What’s the statistical meaningfulness of these numbers? Anyone? So the vast majority kept their jobs then? Remember, these are likely to be employees the employers had misgivings about from the outset. The fact that a party of Government got held to ransom by those who prefer corporatist agendas should be reason to pause for thought. We ‘all knew’ that labour rights would be on the chopping block at some point in a second term. 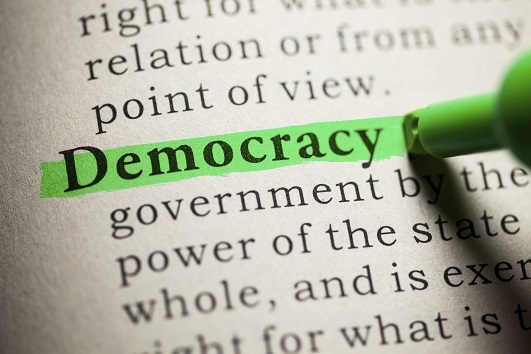 That the Party of Government has been compelled to jump on an issue that could possibly mark its political suicide when it seemingly had it all wrapped up, should ring alarm bells for anybody concerned with the state of what little democracy we have left in this country. I’m honestly more concerned that leaders of what passes itself off as the left aren’t expressing ropeable anger as a bare minimum in response to this assault on the most basic of issues than I am by the spin of the right. Seems ever more perfectly reasonable to suggest that the pushers of the corporate agenda don’t need to give too much notice to which party we, the pesky electorate, vote in. Both fit nicely into their back pocket. Sure, Labour wouldn’t have gutted the ERA. But it didn’t do too much during its tenure in terms of burying the legacy of the ECA. And it too passed legislation that put a downward pressure on wages. It has us all cross subsidising each other with Working For Families…a nice gift to business that will keep on giving in terms of blunting calls for higher wages. And that incidentally also reinforces the efficacy of ‘Fire at Will’ insofar as it heightens the fears associated with job loss. I think it might be time to acknowledge that the left in NZ is dead and begin the long hard slog of building a credible NZ left…and sure, the Labour Party might be a part of that. But it has a long, long way to go to get out of those corporate woods it’s been lost in these past decades. Fact is, if by some miracle Labour did win the 2011, there’s every indication it would be a ‘captive’ Labour even further to the neoliberal right than the last Labour government. It’s clear not so much from the few pathetic slogans and meagre policies that Labour has released to the electorate, but in all the many, many, many government outrages that Labour has pointedly not opposed. We despeately need to rebuild ‘what’s left of the left’ because the left flank has no coordinated public voice in NZ. Like you, the “eviseration” of the left worries me every bit as much as much as the blood-suckers currently in power getting another term. Good point though – National is sitting very high in the polls. They know the Labour party is not a superior financial position to them. Why are they worried about building their warchest in this way? Must be those damn storm clouds they see rolling in. Maybe they are ‘worried’ about their war chest just because Party finances are important and are seen as being reflective of a number of matters? So Fagan has sent them out in the bright mid-day sun to rifle our pockets ’cause Fagan ‘wants his’. And Fagan will give them a kick back for their coffers. And they don’t really want to be so exposed but hey, they have the bidding of a master to do. No choice. And the corporate master doesn’t have to care if they get caught out, cause no matter who gets into office the corporate master will remain in charge. Look, lets say Labour win next time around. How long to rescind or reverse this assault on worker’s rights, bearing in mind that Labour know from this past election that they cannot stay in office without corporate approval? I see Mr Key has now found a small amount to help increase the coffers, just the start I would suggest. Workers rights to to get a chance at a job despite a dodgy CV have been massively upgraded in small firms over the last year and these rights should be extended to all workers no matter what size of firm. Great move. Union officials like salespeople and will have to negotiate access to a workplace owned by a business owner at a time convenient to the business. No loss of worker rights there. Great move. Hello Fisi, what you describe is what unions already do under current legislation. Unions have to cater for shifts and work flow. Reps cannot just waltz in when it suits them. The â€˜dirty filthy’ nats however want to put an extra layer of impediments in there to slow things down and reduce workers bargaining ability and outcomes. It is documented that unionised workers have achieved wage increases in the last two years, unlike many non union employees, and have safer workplaces.